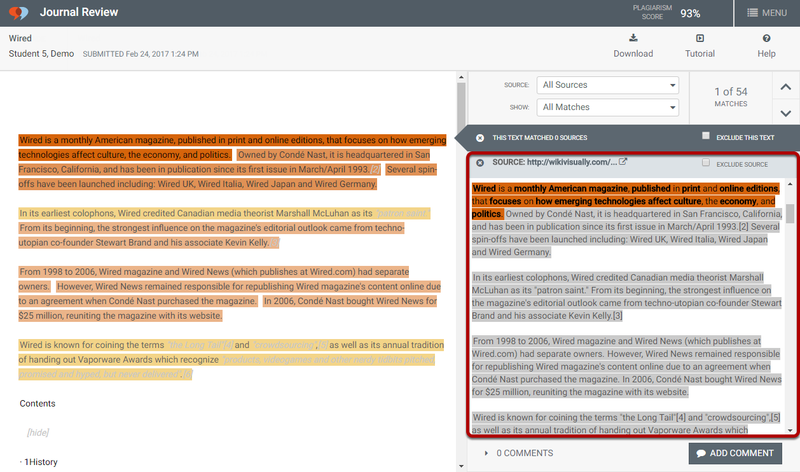 VeriCite DocumentationUser GuidesCanvas User Guide New Canvas Plagiarism Detection Framework Integration - Instructor ArticlesHow do I inspect an individual sentence? 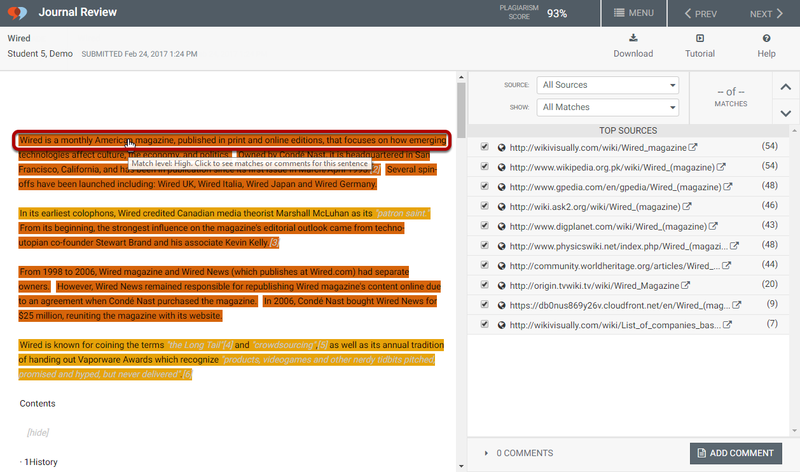 Click Source Text for any of the sources listed to see a side-by-side comparison of the match. 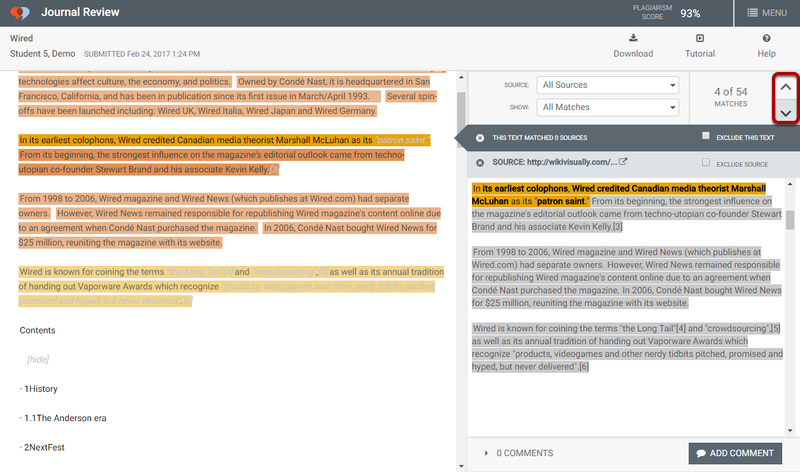 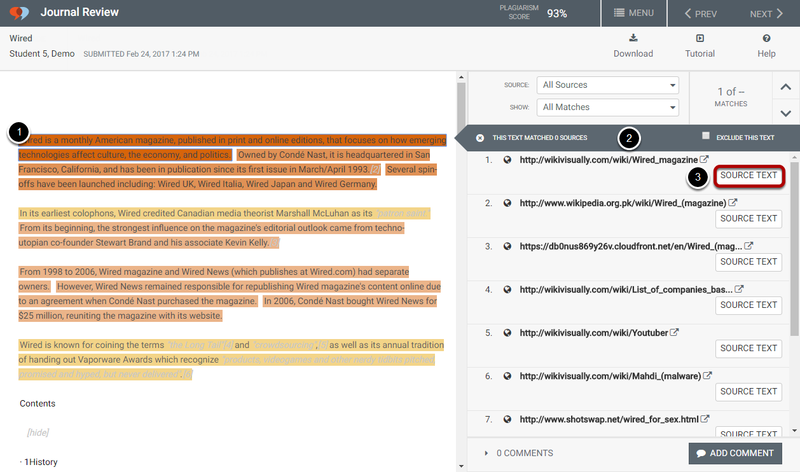 Note that the matching sentences for the student paper and the matching source will be highlighted for comparison. 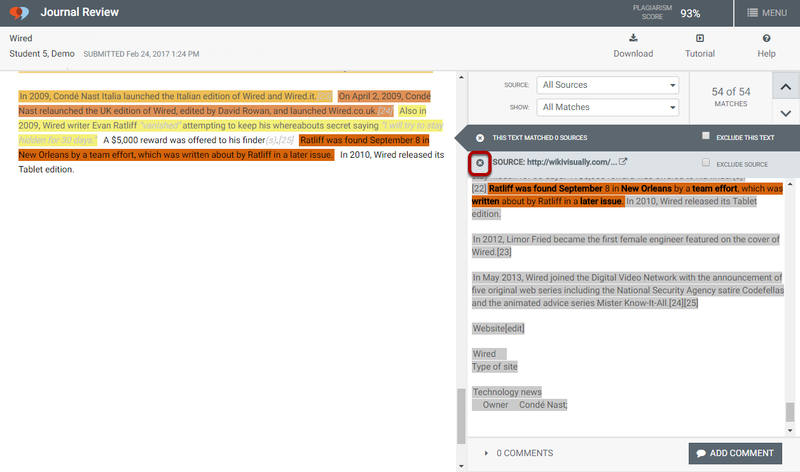 Bold type also indicates the key matching words in the source sentence.